A key component of Trexin's specialization in Strategy Execution is our Capability Assessment, Strategy, and Roadmap (ASR) methodology. Used in more than half of our Client engagements, its purpose is to create an actionable, stepwise plan to improve the capabilities necessary to achieve declared business goals. Similar in structure to a 3-phase gap analysis, what sets apart Trexin's ASR methodology is the unique integration of Lean Six Sigma concepts and Design Thinking. In essence, the Trexin ASR is a blueprint for how to actually execute a business strategy, explicitly linking your business goal all the way to elemental people, process, and technology capability dimensions that materialize the strategy and its compositional tactics. Learn more about Trexin’s Assessment, Strategy, and Roadmap, and how Trexin can help you “Get to Done”. Typically implemented as a 6-12 week engagement led by a highly experienced 2-5 person Trexin team, some of the incremental value propositions of Trexin’s ASR engagement are itemized below. It might be obvious that customer needs should be factored into any business’ strategy, yet true understanding of customer base needs (especially in more mature businesses) is often elusive. And simply talking to prospects about your ideas is insufficient and misleading. Trexin can help you solicit genuine customer input while also understanding unmet needs and customer value that drives purchasing decisions that should be factored into your business strategy. One of the primary interim objectives of an assessment, strategy, and roadmap exercise is to translate a business’ strategy to reach a specific business goal into a set of operational capabilities and elemental dimensions, usually expressed in terms of people/skills, processes, and technologies. That translation is, we believe, how strategy is actually best executed. Those future-state capabilities, combined with a narrative that illustrates the desired user experience plus a conceptual technical architecture, constitute what Trexin believes to be the necessary elements of a future-state vision. A Design Thinking perspective puts synthesis ahead of analysis, and Trexin’s ASR adheres to that principle. But to actually implement a future-state vision, a clear understanding of current-state is required, even if the vision prescribes a buildup of new capabilities because “new” usually still implies organizational redistribution of resources. Current-state assessments tend to be critical in nature and easily disruptive if not properly contextualized, so Trexin’s ASR methodology focuses initially on current-state itemization vs. assessment. Only after a future-state vision is established that embodies the business goal, strategy, tactics, and capabilities should the current-state be assessed. 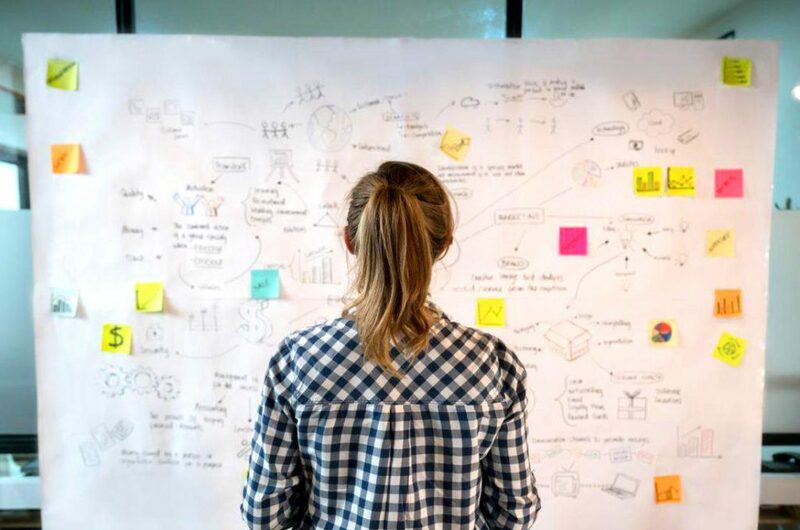 Trexin can help you assess your current-state people/skills, processes, and technologies, but we can do it in a way that is constructive and properly contextualized to a Design Thinking approach. Trexin’s ASR methodology intentionally starts with an explicit declaration of the business goal and strategy to ensure organization alignment and maintain a direct connection between proposed capability improvement projects and the business goal those capabilities are intended to realize. But as an optional component of our methodology, Trexin can also help you create a formal business case with a detailed cost-benefit analysis that quantifies both the costs as well as the benefits to allow you to justify the capital expenditure and make relative investment comparisons. By definition, the ultimate purpose of an assessment, strategy, and roadmapping exercise is to create an actionable plan of sequenced, prioritized projects to reach a targeted business goal. From Trexin’s perspective, this is literally the blueprint for how strategy is actually executed, with the projects themselves representing the establishment of the future-state vision and the individual capabilities that materialize tactics and KPIs. Trexin’s ASR is designed to help you do exactly that.